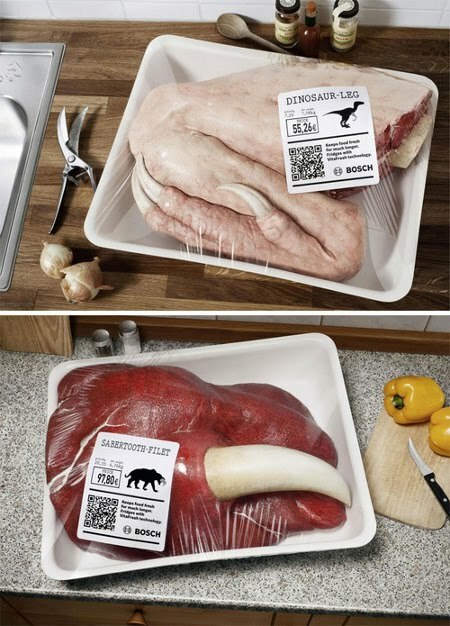 Apparently Bosch makes refrigerators and have created this clever dinosaur meat marketing campaign to showcase how their VitaFresh appliances can keep foods fresher, longer. Get it? Because dinosaurs haven't been around for a long time. So if this meat was still fresh, that would mean that their fridges are really awesome... Yeah, I don't get it.